It is very hard for a government to take away a “right” already granted. When you look at Revolutions in Third World countries, you find some common themes. The Governments of those dictatorships or quasi-dictatorships are controlled by a group representing the interests of a small minority of the population, typically the wealthy. The Government uses increasingly Draconian measures to force the population’s compliance. Here in America, Republicans are doing just that. Examples of those measures to suppress dissent include laws in several state which allow Chumph supporters to run down and murder protesters, and an attempt by Republicans in some states (including DC, which the Republican majority House now controls) to criminalize dissent though the abuse of felony laws to punish protesters for nonviolent protest. When you start locking up your detractors in prisons…you have paved the way for violent revolution. When facing a felony conviction or death for waiving a sign on the public streets – there is very little difference in the punishment for blowing up buildings. The white-wing Republican government in America isn’t far from that line. The Trump(don’t)care legislation is another example of abuse of the majority for the benefit of the rich. A lot of those folks who will be getting abused voted Republican. While the Second Amendment whackos are too consumed by racism to care…There are a lot of poor Republican Soccer Moms and caretakers of the sick and elderly out there who do. Democrats have one chance to get this right. They need to do smething to stop this steamroller besides pretty speches. Elizabeth Warren has proposed a bill to force full financial disclosure from Trump, and to force him to divest his financial interests while President. Ouch! If the Senate takes a hard line on this (which I doubt with a Republican majority) it could also mean the the Trump children would also have to comply. The reason Republicans despise Elizabeth Warren (and thus the “Hiawatha” jab) is she is effective at demanding accountability for the biggest thieves, liars, and crooks in the country. Wll Street, and heads of the major banks. Here – she lights a fire under Wells Fargo President Stumph for crooked dealing, and profiteering. I hope like hell for a change, the DOJ prosecutes and sends this sucker to jail where he belongs. Folks are getting real tired of this “special justice” for “special people.” crap. Elizabeth Warren…Gets it. This is really straightforward. Why is the right wing so deeply embedded in denial? Sen. Elizabeth Warren (D-Mass.) on Sunday forcefully called for a renewed focus on the fight for racial justice, arguing that “we have not made enough progress” since the civil rights movement of the 1960s and outlining three main policy areas in which black people continue to face discrimination, including her signature issue of economic inequality. Speaking at the Edward M. Kennedy Institute for the United States Senate in Boston, established by her late predecessor, Sen. Ted Kennedy (D-Mass. ), Warren’s speech was tied to the legacy of the monumental 1960s civil rights laws that Kennedy championed. 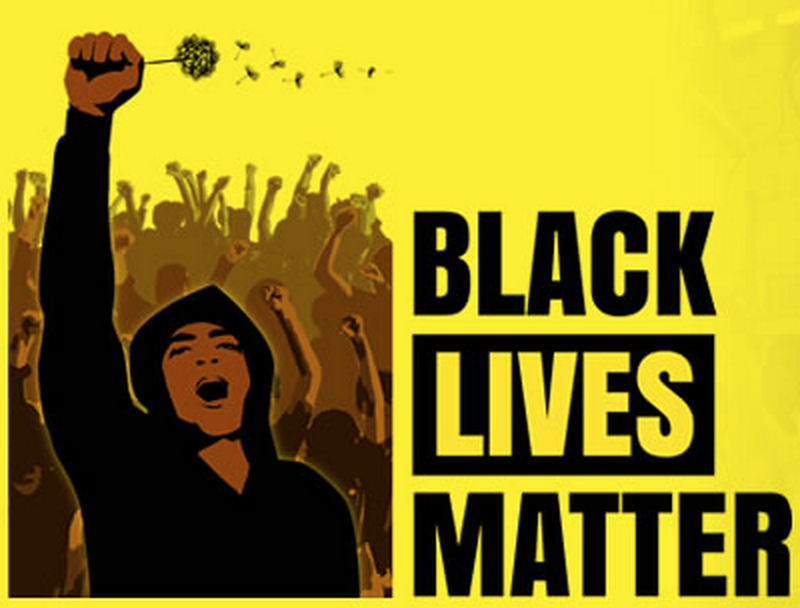 “These laws made three powerful declarations: Black lives matter. Black citizens matter. Black families matter,” she said, according to her prepared remarks. But she said it is clear that “we have not made enough progress,” organizing the speech around three major areas in which black people still face injustice: police violence, voting restrictions and economic inequality. Linking her long-standing fight for the middle class to the fight for racial justice, Warren conceded that “economic justice is not and has never been sufficient to ensure racial justice.” However, Warren pivoted back to her signature issue throughout her speech, noting that African-Americans continue to face diminished economic prospects and discrimination in housing, education and employment. She also reminded the audience that the March on Washington with Martin Luther King Jr. in 1963 was as much about economic justice as it was about racial justice. Warren acknowledged that economic reforms are not enough to combat the racism that still persists in America. “Owning a home won’t stop someone from burning a cross on the front lawn. Admission to a school won’t prevent a beating on the sidewalk outside,” she said. Citing the recent deaths of African-Americans in police custody, such as Michael Brown, Sandra Bland and Freddie Gray, as well as the aggressive tactics police used during the protests against these deaths, she lamented that black people continue to experience disproportionately unfair treatment from police. In proposing solutions, she echoed the recent calls for police reforms, including the need to create more diverse police forces that “look like, and come from, the neighborhoods they serve” and the demilitarization of police. “This is America, not a war zone, and policing practices in all cities, not just some, need to reflect that,” she said. Warren also railed against the continued assault against voting rights for minorities, particularly in the South, where lawmakers have resorted to more subtle tactics for keeping voters off the rolls, such as gerrymandering, voter ID laws and more complicated voting procedures. She scolded congressional Republicans for holding out on legislation to restore the Voting Rights Act, parts of which were struck down by the Supreme Court in a 2013 ruling. She also called on states to implement automatic voter registration to reduce the procedural hurdles of voting. She tied the central argument of her speech back to her message of economic inequality, citing persistent housing discrimination against blacks, the high black unemployment rate, and how the housing bubble and economic recession disproportionately gutted economic opportunities for the black middle class. Warren hailed what is perhaps her most famous policy achievement, the creation of the Consumer Financial Protection Bureau, as the first step in curtailing discriminatory mortgage and banking policies. “It’s time to come down hard on predatory practices that allow financial institutions to systematically strip wealth out of communities of color. One of the ugly consequences of bank deregulation was that there was no cop on the beat when too many financial institutions figured out that they could make great money by tricking, trapping and defrauding targeted families,” she said. Warren acknowledged that as a white politician, “I speak today with the full knowledge that I have not personally experienced and can never truly understand the fear, the oppression, and the pain that confronts African-Americans every day,” she said. “But none of us can ignore what is happening in this country. Not when our black friends, family, neighbors literally fear dying in the streets. The speech drew praise from Black Lives Matter activists, like DeRay Mckesson, who has prominently called for lawmakers to make direct policy proposals that address police violence. “Warren, better than any political leader I’ve yet heard, understands the protests as a matter of life or death — that the American dream has been sustained by an intentional violence and that the uprisings have been the result of years of lived trauma,” Mckesson told The Washington Post. One of the massive Catch 22’s post economic meltdown in the 00’s has been the FICA Score System. With the housing meltdown, millions of people went into either foreclosure or credit crisis. As jobs shrunk and people lost jobs, they were unable to pay their bills. Trying to get a job? In a go-round reminiscent of Ray Charles’ Song line “If you have to have something, before you can get something, How you get the first is still a mystery to me!” NOPE! Our HR Department has determined your credit is bad. So if you got laid off, and can’t pay your bills, you can’t get a new job to pay your bills on time…Because you were laid off and can’t pay your bills. Credit reporting companies that sell Americans’ personal data to potential employers have pushed the narrative that a credit history somehow provides insight into someone’s character. But, as even a representative from the TransUnion credit bureau admitted, they “don’t have any research to show any statistical correlation between what’s in somebody’s credit report and their job performance.” In fact, research has shown that an individual’s credit has little to no correlation with his or her ability to succeed in the workplace. Credit reports are not a way to screen out bad potential employees; they are just a way to discriminate against people who have fallen on hard times. Not only are credit reports poor indicators of job performance, but in many cases they aren’t even accurate. The Federal Trade Commission (FTC) reported in 2013 that as many as 1 in 5 consumers could identify at least one error in their credit reports. That’s compounded by the difficulty in correcting errors—not only are consumers often unaware an error exists in the first place, but credit reporting agencies can be frustratingly slow to respond when it comes to fixing those mistakes. For hardworking people struggling to make ends meet, the only way to get back on their feet is to find a good job and earn a paycheck. But even when they are able to sell their homes—often at a loss—or after they are forced to close their business’ doors or find temporary work, that bad credit history continues to haunt them. And despite the often-desperate effort to find a job, many employers are unfairly shutting the door on applicants with less-than-stellar credit. We should call this what it is: discrimination. Elizabeth Warren was brought in by the Obama Administration to develop the Consumer Protection Agency. Once it was set up – Republicans went to war to keep her from running it.